Trophy Woodland Caribou for 1 week and 6 hunting days. We offer you the best opportunity in the world to harvest this majestic trophy animal. tags are very limited!! Booking now for 2019-2020 Our main lodge at Sams Pond is the base for our trohpy woodland caribou hunts. Our company aircraft is on site during your stay and flights to more productive areas are included in your adventure. Hunt includes guides, meals , transportation to from airport ,hotel as well as transportation during your hunt by floatplane. The Woodland Caribou (Rangifer Tarandus), a North American Deer of the same family as the Eurasian Reindeer (Cervidae), is the most widely distributed mammal in Canada, and Newfoundland is home of the worlds most Southerly herd. Large males, weighing upwards of 500 lbs. and sporting an impressive mahogany colored antlered crown is beautiful to see and a challenge to hunt. 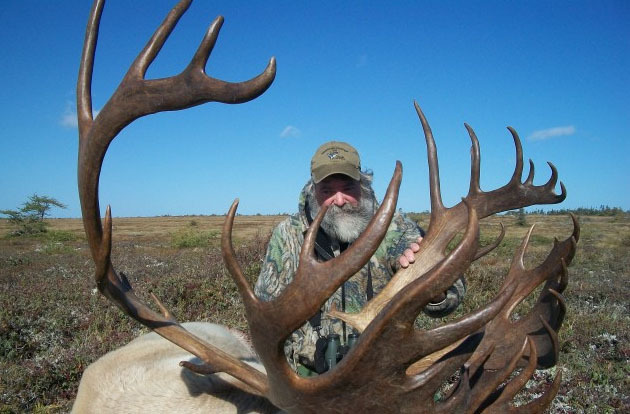 Bob Efford, our owner/operator, brings along dozens of years experience in the hunting and outfitting industry. 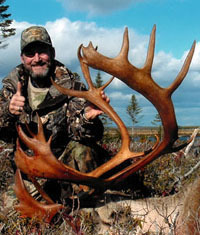 At our Caribou camps we take a maximum of 4 hunters per week. The lodge has all the comforts of home; hot and cold running water with showers, generated electricity and propane refrigeration, as well as a mobile radio telephone system. 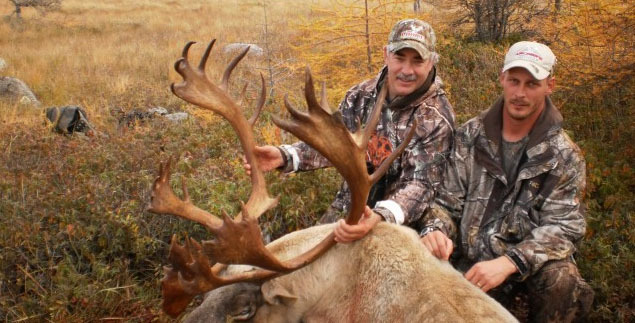 These caribou hunts can be tailored to your needs. You may choose for a 1:1 hunt, (a personal guide) or a 2:1 hunt (2 hunters per one guide). Costs for 2019 are $15,000.00 plus tag and 15% tax per person, contact us for your final adventure details.